The 2017 Gateway Dirt Nationals has several tweaks to the track layout in comparison to 2016. It’s slightly wider, the banking is a bit different and there’s a berm. This year, they had more dirt to work with and more time to work with. Both of those things allowed for a bit more creativity in the track layout. Kevin Gundaker owns and operates Tri-City Speedway. 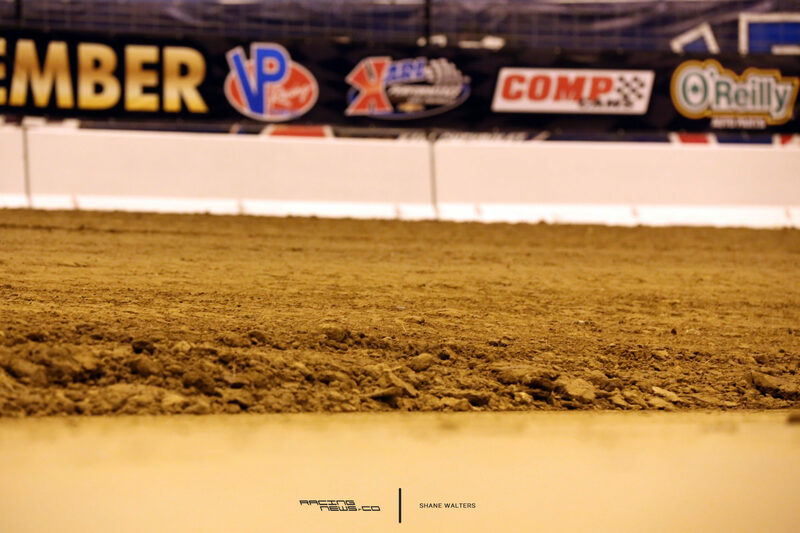 That Pontoon Beach, IL race track sits less than 20 minutes from The Dome at Americas Center. Gateway Dirt Nationals promoter Cody Sommer selected Kevin to head the track prep and configuration side of the event, in both 2016 and 2017. 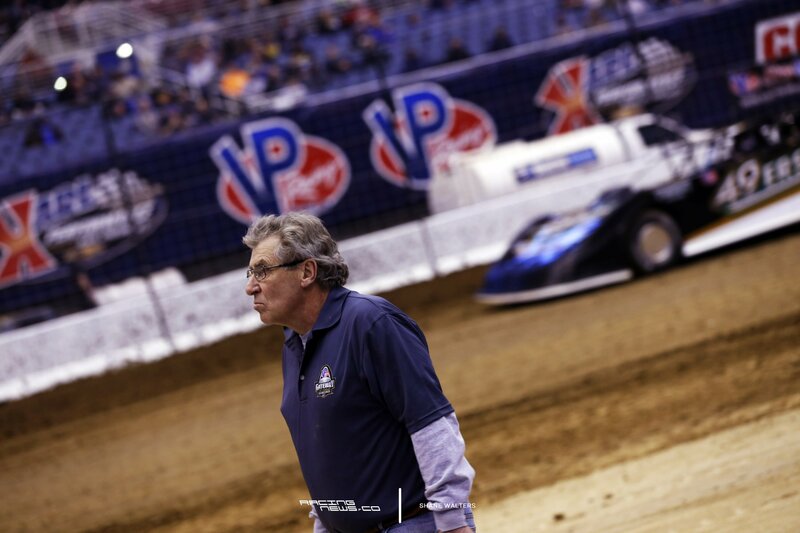 I spoke with Kevin Gundaker about the minor changes to this years layout. What about the track prep itself? What’s your idea with the changes in turn 1 specifically? From above, turn 1 looks sort of diamond-ish, for lack of a better term. So, what’s the goal there? “It’s not really a diamond,” Kevin Gundaker clears that up. There’s now a berm on the inside. That looks a little different. Last year, the track had several tires all the way around the inside of the corners. Those tires weren’t bolted to anything. So, over the course of a long run, drivers would pinch a little more and a little more. Until the tires were 10 feet from where they started. In addition, it caused brief delays. Anytime someone smashed into a tire a wrecker would have to come onto the track, just to push the tire barrier back into place. This year, it sounds like they’ve found a solution for that. Why do you have more dirt this year? Ok, so you might have added it last year if you had more time? 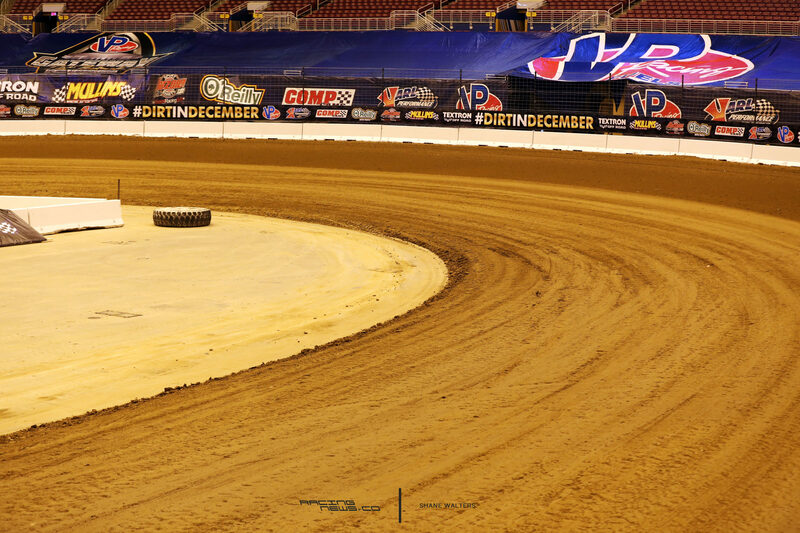 The 2017 Gateway Dirt Nationals will be hosted at The Dome at America’s Center in St. Louis, Missouri. The races will be run on December 14th-16th, 2017. Each night is a good one, take your pick.